The transparent umbrella of this jellyfish makes it less obvious to predators. upload - transferring data (usually a file) from the computer you are using to another computer. 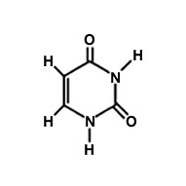 The opposite of "download"
Diagram of the chemical structure of uracil, one of the four nitrogenous bases in RNA. 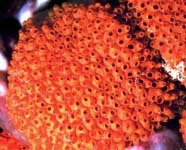 Orange colonial tunicates (Urochordata) at Gray's Reef National Marine Sanctuary.